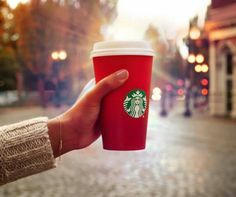 “Everyday can be like a holiday.” Just one of the Starbucks cup slogans, I think they might be on to something. As I hold my peppermint hot chocolate, topped with cool whip and coco powder sprinkled over the top, I smile and think, “Yes, yes it can.” Often we consider the season of Christmas to be the day after Thanksgiving and lasting until New Years Eve. After that, the tree is taken down, the ornaments boxed up and the lawn reindeer stored in the garage rafters. Christmas becomes a fleeting memory. I find it fascinating that the angel addresses their fear first, taking the time to say something before they bolt and miss the message. The story wouldn’t be the same if they all took off running (in different directions.) After the fear factor was addressed, the presentation of ‘good news’ was given, the choir sang, and service was over. I wonder… if our pastors approached the pulpit and opened their sermons with ‘FEAR NOT’ would we pay just a tad bit more attention? Life is busy, our days full of routine, we face many obstacles and stress keeps our focus captive as we go about our business. However, the Christmas promise and message is clear and continues to roll forward… what if (humor me) JESUS came to us, saying “Don’t be afraid, TODAY, I Christ the Lord, YOUR Savior … here’s YOUR sign… find Me.” I love the word ‘sign’ in the Greek, one scholar defines it as “A miracle by which the power and presence of God is manifested, a distinguishing mark noting significance.” Notice it doesn’t declare how big or small the manifestation. Do WE look for Jesus to manifest Himself before us, around us and ahead of us today? Have we considered He orchestrates our setting and timing of circumstances so we too would take pause and cause us to look… see and find Him. It may not be a Celestial Being sky writing above the Metro area, but it may be a gentle whisper you hear in the breeze, a wondrous sunset. See Him. Or a loving note from a friend or a check in the mail JUST when you need it. See Him. What of sitting in your car that has been in the snow, dormant for a few days, you lean your head against the steering wheel turning the key, “Please Lord!” is whispered faintly. It starts immediately! See Him! FEAR NOT! TODAY! I, CHRIST am here! This entry was posted on December 23, 2016 by Inspired Fountain. It was filed under * Miscellanous Stuff .